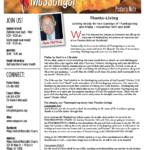 extending Thanksgiving and praise into our daily lives? Praise to God is a Lifestyle All too often, praise to God is something that many people leave at church, an event that happens only when they come together with other Christians. However, thanksgiving and praise should be a part of a believer’s lifestyle, intermingled as a part of their daily prayer life. At work, in the car, at home in bed, or anywhere; praise to the Lord brings the refreshing of the Lord’s presence, along with His power and anointing. “…I will bless the LORD at all times: his praise shall continually be in my mouth” (Psalms 34:1). name” (Psalms 100:4). 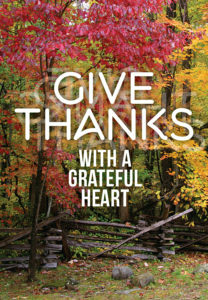 Put simply, our Thanksgiving turns into Thanks-Living! Colossians 3:17: And whatever you do, in word or deed, do everything in the name of the Lord Jesus, giving thanks to God the Father through him. As we celebrate the Thanksgiving holiday season, let us take a look at how we can sit in the THANKSGIVING CHAIR! On Sunday, November 18th and 25th, we are going to introduce the THANKSGIVING CHAIR as we acknowledge the grace of God in all areas of our life. We will begin this Sunday in talking about two special services of thanksgiving and praise. It will start in our worship and move into our homes and our community (and beyond). 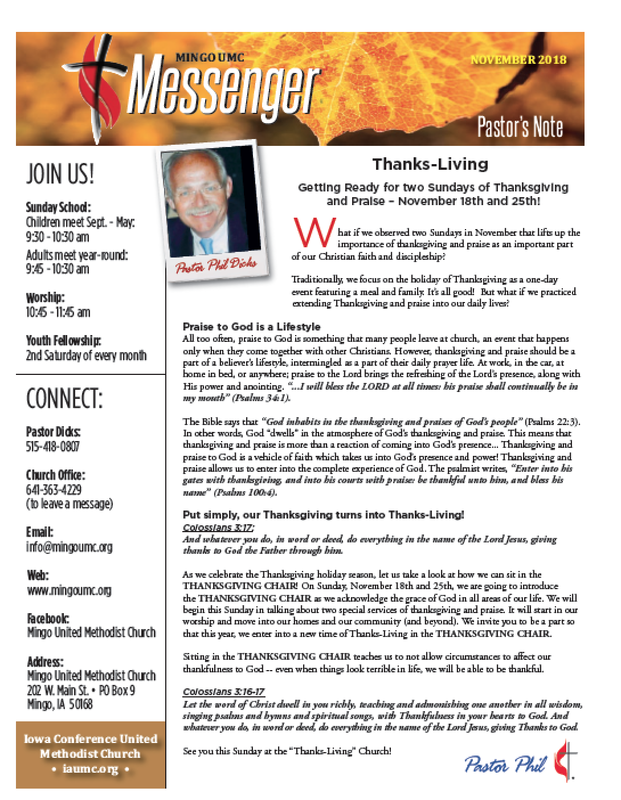 We invite you to be a part so that this year, we enter into a new time of Thanks-Living in the THANKSGIVING CHAIR. Sitting in the THANKSGIVING CHAIR teaches us to not allow circumstances to affect our thankfulness to God — even when things look terrible in life, we will be able to be thankful. Colossians 3:16-17 Let the word of Christ dwell in you richly, teaching and admonishing one another in all wisdom, singing psalms and hymns and spiritual songs, with Thankfulness in your hearts to God. And whatever you do, in word or deed, do everything in the name of the Lord Jesus, giving Thanks to God. 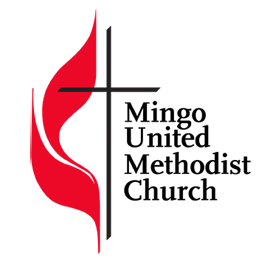 See you this Sunday at the “Thanks-Living” Church! 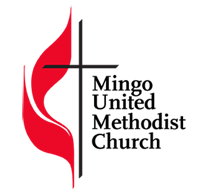 Click here to read of the November Newsletter!